During the month of August, Biltmore Estate will be testing “timed entry” into Biltmore House on a daily basis. 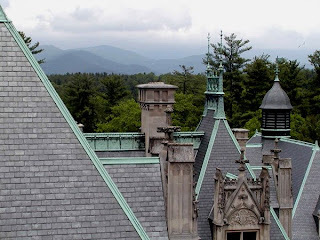 You will need an entry time ticket to visit Biltmore House during this testing period. The day of your visit, you can pick up your entry time ticket in person at the Biltmore Welcome Center, the Guest Service Station in the Stable hallway, at the tent set up near the House, or at the Asheville Chamber of Commerce. This is a separate ticket from the admission ticket you purchase here at the Inn or through Biltmore, and you must keep both tickets with you at all times on the estate. One item to keep in mind: Admission tickets purchased here at the Inn are good for two consecutive days. Enjoy Biltmore House, Gardens, the Winery, the Riverbend Farm and the rest of the fabulous estate for two days for the price of one day’s admission. Our current individual ticket price is $42.50, regardless of what day you choose to visit Biltmore. August 15: An Evening with the Beach BoysVisit http://www.biltmore.com/visit/calendar/concerts.asp for more information. If you like flowers, you’ll want to go to Biltmore sometime between August 29 and September 15, when the South Terrace will be transformed into a “flower carpet” design, covering 14,400 square feet. Yes, that’s right. We said 14,400 square feet. According to Biltmore, over 100,000 plants will be used in this one-of-a-kind artistic display. We can’t wait to see it. This entry was posted in Uncategorized and tagged Biltmore, festivals and special events, Summer by Inn on Mill Creek. Bookmark the permalink.